For those of you new to reading my post, let me share my disclaimer. I am not a professional photographer! I tell you this in advance of this post and you will soon learn why. Carry on. Oh Summer! You have officially arrived. For a lot of us that means ramping up our fresh veggies and cool refreshing salad intake. Don’t think a salad can’t be tasty and very filling, au contrary to popular belief, it can be both. Today I’m sharing three of my recent go-to’s I’ve been prepping and taking to the office or on the road. With a little planning in advance (shopping) and assembling (time), put these salads in a container (don’t judge the plastic!) and you’ve got a ready made meal when needed. Leave the dressing off until ready to eat and they’ll last in the fridge several days. Salad #1 – Lightlife Tempeh Fakin Bacon (air fried), hearts of palm, shaved carrots, broccoli, tomatoes, avocado on greens, with a lime vinaigrette dressing. 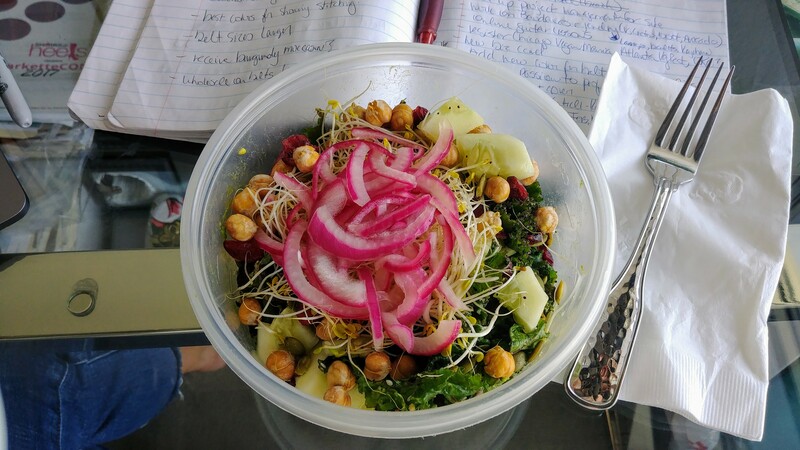 Salad #2 – Massaged kale with avocado, tomato, cucumbers, cranberries, Trader Joe’s Everything Bagel Seasoning, sprouts, crispy chickpeas (air fried), and pickled red onions. 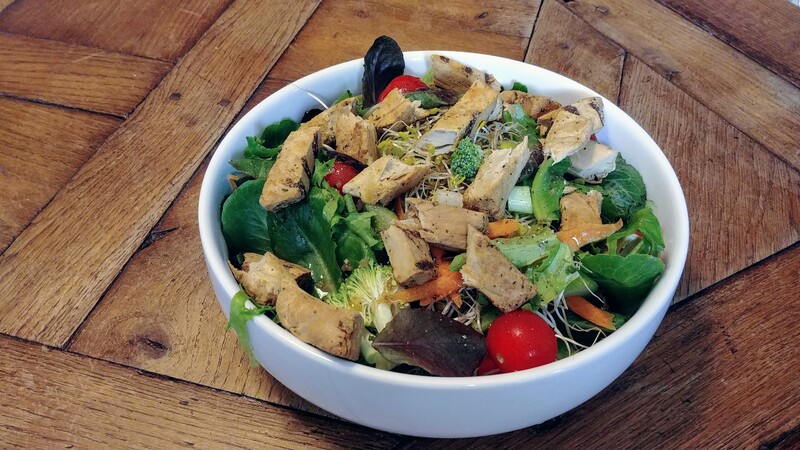 Salad #3 – Mixed greens, shaved carrots, broccoli, celery, green onions, tomatoes, pumpkin seeds, sprouts, Beyond Meat Lightly Seasoned Chicken Strips, apple cider vinaigrette. What are your go-to salads for summer? I hope you’ll give these a try! 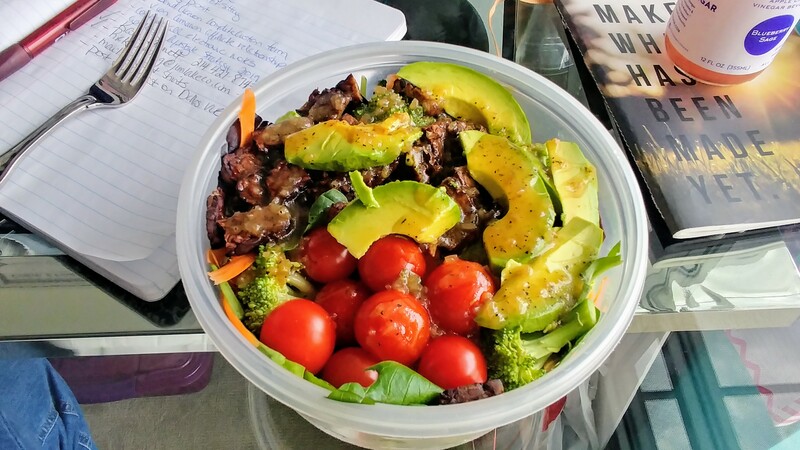 As always, you can mix up the greens and veggies to what you have on hand or your own liking.